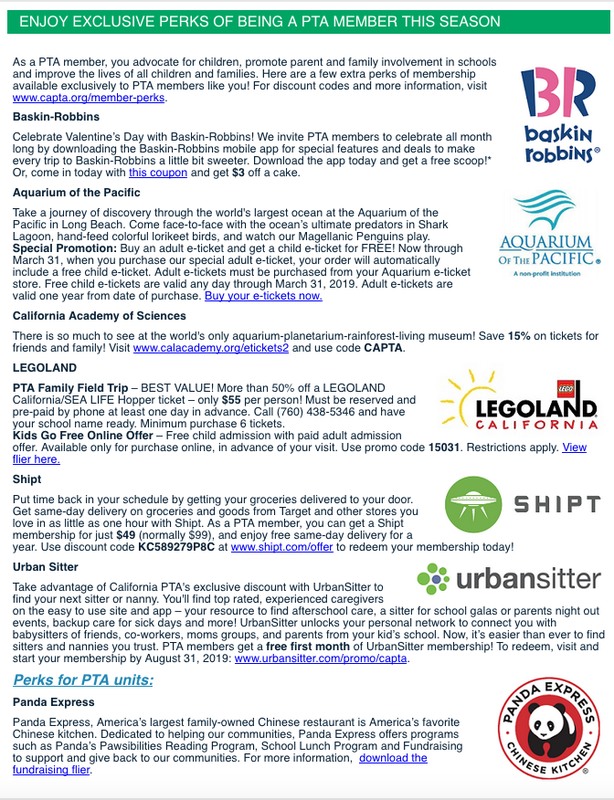 Just for being a PTA Member, enjoy some of these discounts at some businesses! More details available on the California PTA Website. Wednesday, October 10th is National Walk to School Day! The school with the most Bike It! Walk It! participants wins $250 for the school’s PTA. Grant Elementary will also be participating on Tuesday, October 9th and Friday, October 12th. Walk, Ride or Scoot your way to school, and increase Grant’s Participation rate! Friday, October 12th there will be helmet decorating during Late Start Cafe — bike or scoot to school, pick up a breakfast treat and decorate helmets!! Students in Pre-K through Grade 12 are encouraged to participate in the 2018-2019 National PTA Reflections Awards! 1. Reflect on this year's theme: “Heroes Around Me”. 2. Create an original work inspired by the theme. 3. Celebrate your achievements and win prizes! All submissions will be displayed at the Reflections Art Gallery on October 18th from 6:30pm - 8:00pm.